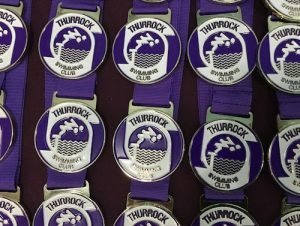 SWIMMERS from Thurrock Swimming Club participated in the first weekend of this year’s Essex Age Group Championships. 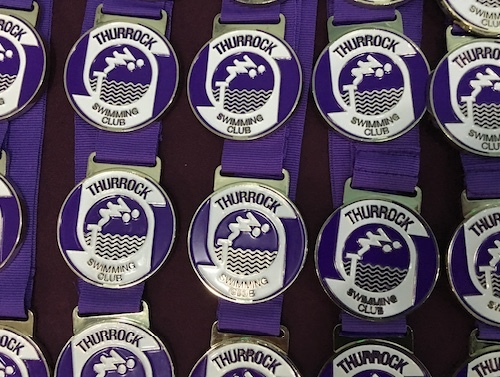 Even with a smaller team compared to others, Thurrock demonstrated their quality with many more finalists, medallists and finishing 3rd overall after the second block – with one more to go! Harrison Jarvis finished 1st in the 50 breast in an event best time. He achieved PBs in the 50 fly, 50 back, 100 free and 2nd in the 400 free. Tilly Mayes came 2nd in the 50 free, 4th in the 100 free, 9th in the 50 back and 2nd in the 50 fly. Nikita Charykin continued with his winning streak by coming 1st in the 50 back, 50 fly, 4th in the 50 free & breast, 1st 100 free, 1st in the 400 free. Jude Hills continued to dominate his age group winning the 50 back, 50 fly, 2nd in the 50 free, 9th in the 50 breast, 1st 100 free, 1st in the 400 free. Christian Calianu came 5th in the 50 free, swam a best time in the 50 back, 100 free. Jeremy Godwin achieved a best time in the 50 breast. Ayobami Akindele came 6th in the 50 free, 4th in the 50 breast, 6th in the 50 fly, a best time in the 50 back & 100 free. Maria Stanciu came 4th in the 50 back and 100 free, 8th in the 50 free, set a best time in the 50 fly & 50 breast. Priya Dhillon achieved 9th place in the 50 back 50 fly, 5th ion the 50 free and set a best time in the 100 free and 50 breast. Alexa Miles-Stevens came 8th in the 50 back. Kevin Moghina finished 3rd in the 50 free, 10th in the 50 fly, 7th in the 50 back and swam to a best time in the 50 breast, 4th 100 free. Bryony Edgings swam a best time in the 50 back, 50 fly, 6th in the 400 free, 4th in the 50 free and set a PB in the 100 free and 50 breast. Elise Delapperall came 3rd in the 50 back, 3rd in the 50 fly, 3rd in the 400 free and 8th in the 100 free. She also set a best time in the 50 breast. Maddie Allkins set a best time in the 50 breast. Tia Lotay came 3rd in the 50 fly and set best times in the 50 back, 50 breast & 50 free. Ben Minister swam well in the 50 free, PB in the 50 breast, 100 free & 50 fly and 7th in the 50 back. Martine Tran competed in the 50 & 100 free, 10th in the 50 back and 6th in the 50 back. Aiden Wood achieved a best time in the 400 free, 50 back & 50 fly. Lottie Delapperall swam a great 50 back & 50 breast. Jasmine Verlander came 4th in the 50 back, 4th in the 400 free and set a best time in the 50 & 100 free. Eloise Bruce achieved 10th in the 50 fly and 7th in the 50 breast 50 & 100 free. Samuel Barrella competed in the 50 free, 100 free and 50 fly. Luke Crofts achieved a best time in the 50 fly and 5th in the 50 back. Tami Bankole finished 8th in the 50 fly, set a PB in the 50 breast, 50 & 100 free. Caitlin Murray achieved best times in the 50 back, 50 fly and 50 breast. Ethan Paraiwa competed in the 50 free & 50 back. Sophie Conroy came 5th in the 50 fly, competed in the 50 back, 50 breast, 50 fly, 50 & 100 free. Colin Moghina finished 4th in the 50 breast, set best times in the 50 free, 100 free, 50 back. Phoebe Brennan competed in the 50 free, 50 back, 50 fly, 50 breast & 100 free. Osehon Ojiekhudu set a pb in the 50 back & 50 fly. Eleanor Lennon swam a great time in the 50 breast. Roxanne Coker swam a best time in the 50 breast. Rebecca Honeywell achieved best times in the 50 back & fly and competed in the 50 free. Tobi Olajide achieved a PB in the 50 free, 50 back, 50 fly 50 breast. Yordan Golemddzhiev swam a best time in the 50 breast. Zandro Sanao achieved PBs in the 50 back & 50 fly. Jan Milkov swam well in the 50 breast, 50 free & 50 back. Oliver Schneider achieved a PB in the 50 fly, 50 free & 50 back. In the womens 200Free relay, Radost Milkovam Rebecca West, Martine Tran and Tilly Mayes finished 8th. In the 13/14 age group, Bryony Edgings, Priya Dhillon, Elise Delapperall and Jasmine Verlander finished 4th overall. In the boys 9/10 freestyle relay Jeremy Godwin, Tobi Olajide, Osehon Ojekhudu, & Amir Olalekan came 3rd overall and 1st in the medley relay. The girls 9/10 team Emma Harris, Lottie Delapperall, Jodie Noriega & Elise Paraiwa came 3rd in the freestyle relay. The men’s relay consisting of Sam Barella, Luke Crofts Mide Olajide and James Edgings swam superbly in the 200m free team. The 13/14 age group, Nikita Charykin, Jude Hills, Colin Moghina & Jenson Hurrell finished 2nd in the freestyle relay.